Sai Paranjpe's much adored 1981 classic Chashme Buddoor, now digitally restored for posterity, was premiered ahead of it's Friday re-release on April 3 at PVR in Juhu, a western Mumbai suburb. 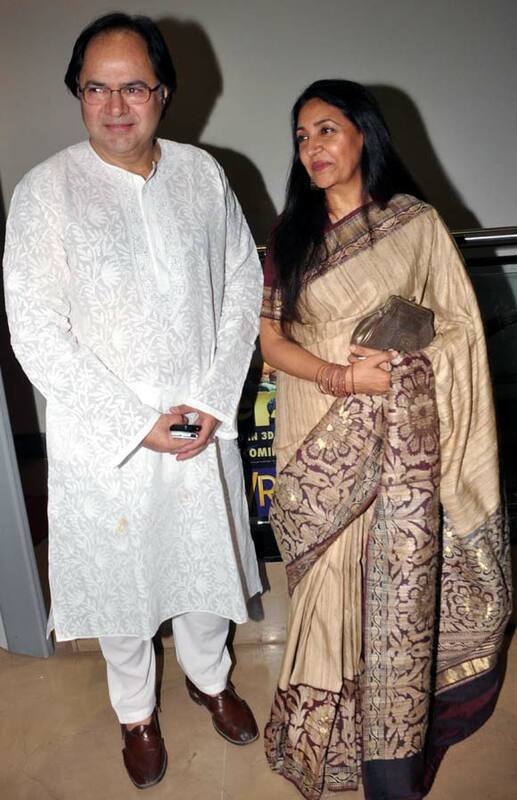 The film's lead pair -- Farookh Shaikh and Deepti Naval who were recently seen together in Listen Amaya -- posed for pictures. 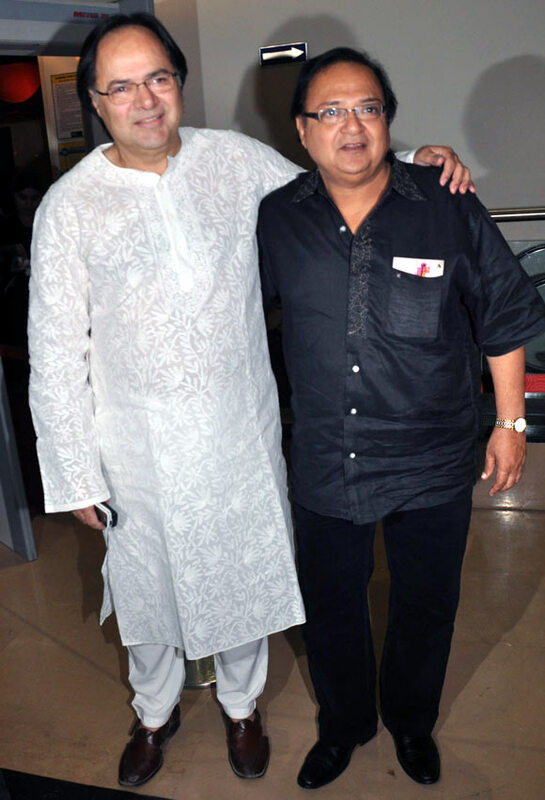 Rakesh Bedi, who plays amatuer poet Omi in the film, was spotted arriving for the premiere. Actors Sandhya Mridul and Arunoday Singh stirke a pose at the screening. Actress and former Miss India Sarah Jane Dias looked quite excited to be at the do as she was clicked with Inkaar director Sudhir Mishra. Actor Vinay Pathak, who has starred in hit comedy films like Bheja Fry and Khosla Ka Ghosla, was also at the premiere. Rannvijay Singh gestures to the shutterbugs. Actor Puru Rajkumar made a rare appearance with a guest at the do. Veteran actor Makarand Deshpande stood out in his printed shirt. 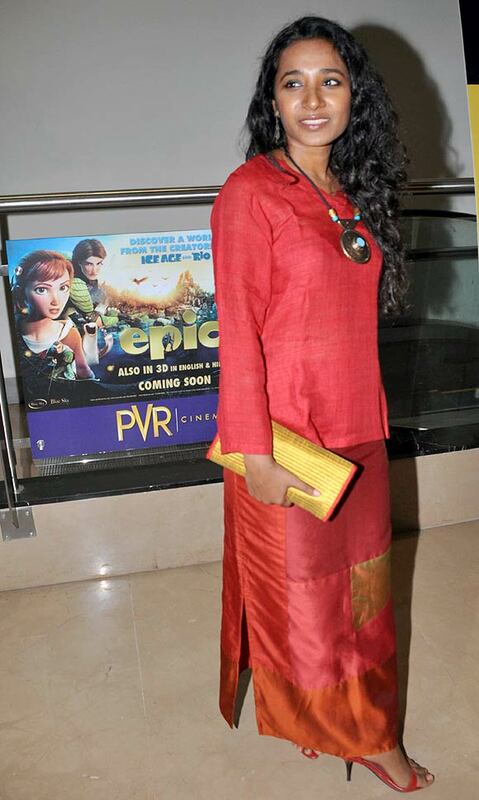 Actress Tannishtha Chatterjee, who will be seen in Sunny Deol starrer I Love NY later this month, wore an all red outfit. 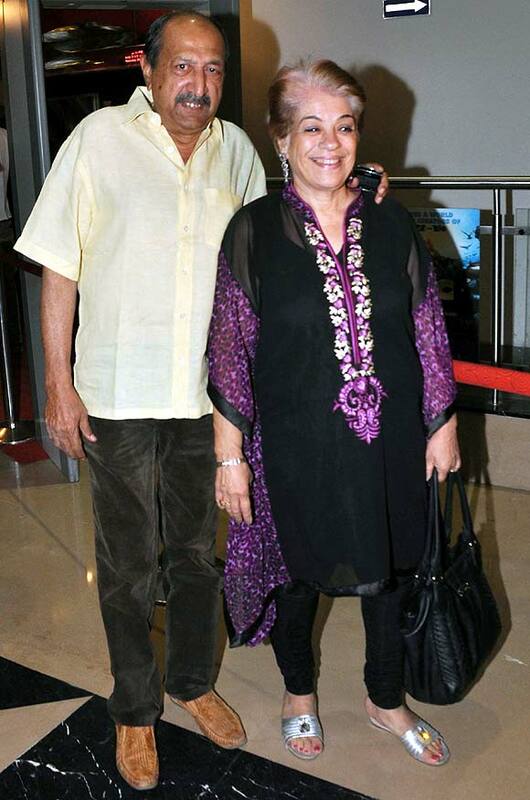 Actor-director Tinnu Anand arrived with wife Shehnaz Anand.